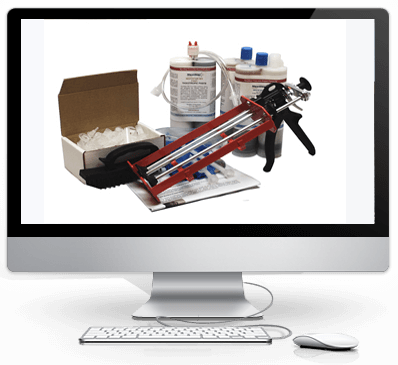 Epoxy concrete crack injection kits products are used by contractors and professionals for foundations with structural cracks. Offering a solution to restore concrete to its original strength. Professional results with Polyurethane of leaking basement concrete cracks, Polyurethane foam is used for leaking foundations using the low pressure crack injection methods . Easy to use kits. 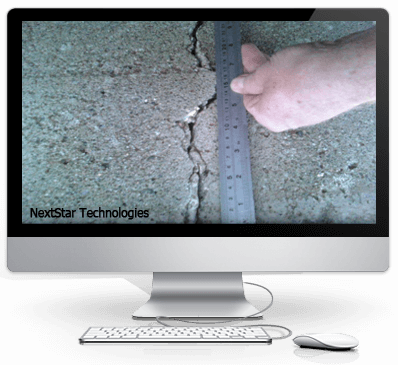 Preferred solutions that can effectively repair common problems with broken or cracked concrete. Solutions for structural repair of concrete including carbon fiber solutions for reinforcement with Epoxy. Epoxy injections allow to permanently repair wall spalls caused by unconsolidated concrete. They are weak spots in the wall and should be injected with epoxy. Typically found in ICF and poured concrete walls that were not vibrated when poured. 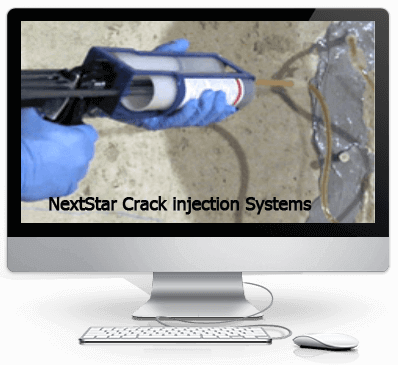 NextStar recommends an Epoxy crack injection to repair structural concrete foundation wall cracks and stop leaks. Epoxy is available in a variety of viscosities depending on the width of the crack. # 4 Ultra Low Viscosity Epoxy (ULV) is designed for super fine cracks. Slow cure allowing time to penetrate. 121 Low Viscosity Epoxy (LV) is designed for hairline cracks generally less then 1/32 of an inch wide.Will cure down to 32d F .
121 Medium Viscosity Epoxy (MV) is designed to repair cracks from 1/32 to 1/4 inch wide. Will cure down to 32d F .
121 Extra High Viscosity Epoxy (EHV) is designed for wide cracks. It is a thick material that will flow but still stay inside the crack until it cures. Will cure down to 32d F .
E101 Epoxy Injection Paste is designed for very large cracks 3/8 of inch or more. Its a thick paste that is designed not to flow, remain inside a large crack to gel and cure. 121 Low Viscosity fast setting Epoxy for crack injection.Used to restore concrete back to its original structural strength using low pressure crack injection methods. Ultra low viscosity epoxy for gravity feed or hairline crack repair injection. Structural repairs.Repair of concrete wall cracks that otherwirse would not be repairable . Medium Viscosity fast setting Epoxy.Used to restore concrete back to its original structural strength using low pressure crack injection methods. Extra High Viscosity fast setting Epoxy. Used to restore concrete back to its original structural strength using low pressure crack injection methods. Epoxy Paste for Injection used to restore large structural concrete cracks using low pressure crack injection methods 1/4 in or wider cracks. Can be used with other concrete crack injection products.